I just received an email that AI is having a clerance on older items. I am not sure when it ends, but why not get something? If you buy, not only will you get something, but your helping to support one of my favorite charities / activist groups. Human rights and justice are being trampled every day including in the United States and AI is on the forefront standing up for those who can’t by fighting torture and murder of innocent people. We are people from across the world standing up for humanity and human rights. Our purpose is to protect people wherever justice, freedom, truth and dignity are denied. We investigate and expose abuses, educate and mobilize the public, and help transform societies to create a safer, more just world. We received the Nobel Peace Prize for our life-saving work. With more than 2.2 million supporters, activists and volunteers in over 150 countries, and complete independence from government, corporate or national interests, we work to protect human rights worldwide. Our vision is of a world in which every person – regardless of race, religion, gender, or ethnicity – enjoys all of the human rights enshrined in the Universal Declaration of Human Rights and other international human rights standards. Founded in 1961, our organization has campaigned successfully in recent years for the International Criminal Court and a UN Torture Treaty. Through our research and action, governments have been persuaded to stop human rights violations and change their laws and practices. Death sentences have been commuted. Torturers have been brought to justice. And prisoners of conscience have been released. We ask you to join us – to take action and stop human rights abuses wherever they occur. Amnesty International has a varied network of members and supporters around the world. At the latest count, there were more than 2.2 million members, supporters and subscribers in over 150 countries and territories in every region of the world. Although they come from many different backgrounds and have widely different political and religious beliefs, they are united by a determination to work for a world where everyone enjoys human rights. Amnesty International USA (AIUSA) is one of many country sections that make up Amnesty International worldwide. AIUSA members elect an 18 member national board of directors to represent them. The board of directors employs AIUSA’s executive director, who manages the staff. The staff works to serve and supports the members. All International sections participate in decision-making by sending representatives to the International Council Meeting. The International Council is a gathering of representatives of all sections, which meets every two years. The International Executive Committee carries out the decisions of the International Council and takes overall responsibility for the conduct of AI’s affairs. The International Executive Committee appoints the Secretary General, who is responsible for the day-to-day conduct of the international affairs of the movement and heads the International Secretariat. The International Secretariat provides professional expertise and support to the movement. It guides the organization’s day-to-day work but is not authorized to make fundamental policy decisions. I really thought my blog was dead. It’s been 4 months since I have posted, but I saw some very sad news today. 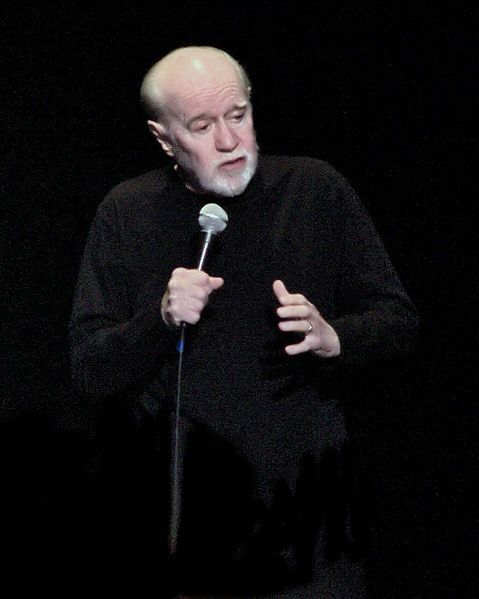 George Carlin died last night, Sunday June 22, at the age of 71 of a heart attack. George was a hero of mine on many different levels for a long time. I was introduced to him at a young age and thought he was cool, mostly because he cursed a lot 🙂 When I got to High School I started to understand a lot of what he was trying to get me to think about. When I saw him live while I was in college, I got it. He wasn’t just a profane old man, he was someone who tried to illustrate the obsurdities of what is now modern life. He just wanted people to think about what we do and why we do it. He was an old hippie, not that that’s a bad thing, but George was so much more. He helped spawn a generation of comedeains and even changed the laws that the FCC follows. His “7 Dirty Words” skit spawned a lawsuit that went all the way to the Supreme Court. He almost single handedly changed the face of television and radio. Not all the changes have been good, but he challenged the conventions of free speech, normality and the establishment making this country a better place to live as far as I am concerned. George, I’m gonna miss you!